"A cozy tunic with a longer cut, warm funnel neck and a made from a soft, heathered fleece, the Desira is designed for the urban landscape. The simple, elegant design has modern sweater styling, clean lines and a flattering fit. The Alpenex heathered fabric offers the warmth and performance of fleece with the sophisticated look of wool. 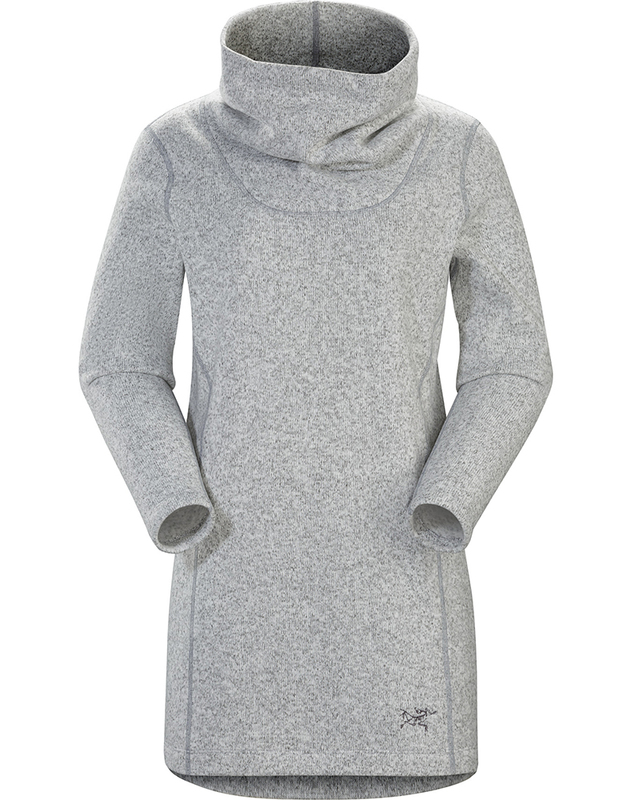 •Tall funnel neck provides cozy comfort against the skin "